I dream of inhaling the crisp fresh air as I hike through the Alps. I see myself sitting on the mountain side devouring milk chocolates, creamy cheeses, and sipping warm refreshments as I admire this gorgeous panoramic landscape. My short visit to Switzerland surpassed my wildest dreams….if only I could stay here forever. Switzerland is small in size making it easy to travel from one end to the other end by public transportation. I purchased a 3 day 2nd Class Swiss Travel Pass at the airport for $227. The Swiss Travel Pass covers all transportation in Switzerland including trams, bus, boat, and many local transportation. There are 2 classes on the trams, 1st and 2nd class. The classes can be distinguished on the outside of each tram cart. *If you choose to rent a car, please note that you will not be able to drive up to the Alps. You will need to pay for a cable-car or a tram to the top. Switzerland is one of the most expensive countries in the world but worth every penny. Switzerland is known for their cheese fondues and their milky chocolate. You can find them all over Switzerland and you won’t be disappointed. Another bonus, Switzerland borders 5 countries: Austria, Liechtenstein, France, Italy, Germany and draws food influences from these regions. 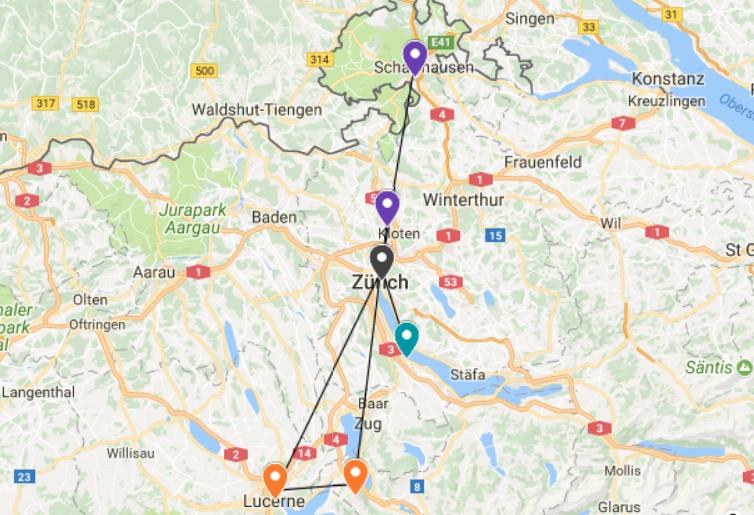 I stayed in an Airbnb just outside of main Zurich, about 18 minutes by train in a city called Horgen. I rented a private studio apartment from a wonderful host. The studio included a small kitchenette, a petite bathroom, and a comfortable size bed. For 3 nights, I spent $275, a reasonable price for Switzerland. Arrive in Zurich. Take the train to Horgen. Hike Rheinfall – the largest waterfall in Europe. Took the train to Mt. 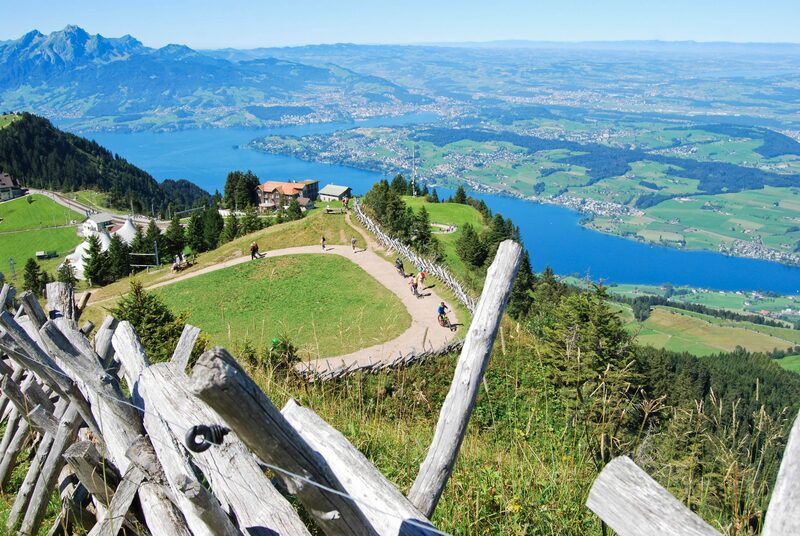 Rigi than hiked down to one of train stops to Luzern.